You crave the freedom of the outdoors. To better your experience while you're hiking and exploring, choose these Reebok Women's All Terrain RB095 Steel Toe EH Blue Trail Running Oxfords. They're rugged, incredibly comfortable, and protective. These slip-resistant w ... (see full details) (see specifications) #RB095. You crave the freedom of the outdoors. To better your experience while you're hiking and exploring, choose these Reebok Women's All Terrain RB095 Steel Toe EH Blue Trail Running Oxfords. They're rugged, incredibly comfortable, and protective. These slip-resistant women's shoes will keep you walking and climbing longer, which is exactly what you want to do anyway. Plus, who doesn't love a great pair of Reebok shoes? These women's trail running shoes can protect you from the hazards you face when you're outdoors. The rubber outsoles feature strategically located aggressive lugs to give you great traction and slip resistance. In fact, they're so slip-resistant that they receive the mark II low contaminant slip-resistant rating oily/wet .40. The safety toe running shoes can keep you safe from electricity, too. The rubber outsoles and steel toe caps make these women's All Terrain blue shoes meet the requirements for the safety standard ASTM F3413, which is an American standard that tests protective toe footwear. Because the steel toe caps in these slip-resistant shoes passed, they can protect your toes from the force of drop impact and compression. These women's All Terrain oxfords are designed with excellent durability. The blue bootie-designed uppers are constructed from Ripstop fabric that acts as the name implies; the material is resistant to tearing. It makes ideal uppers for outside wear. 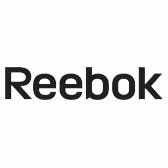 Also, the long-lasting fabric gives the upper a seamless, close fit, which will benefit not only your comfort but your safety; the Reebok EH shoes will hug your foot while making sure nothing snags the exterior and causes potential danger. Beneath the strong uppers are rubber outsoles that resist being worn down by environmental conditions. In addition to toughness, these women's steel toe shoes are energizing and soothing. They're made with MemoryTech footbeds that form to the natural contours of your feet to provide an immediate cushion as they move. As an active person, you'll certainly appreciate the footbeds' ability to support and comfort nearly every part of your foot, no matter what trail level you decide to venture. When you're walking, climbing, hiking, and more, don't let yourself become victim to a poorly designed, uncomfortable, and unsafe hiking shoes. Get these Reebok Women's All Terrain RB095 Steel Toe EH Blue Trail Running Oxfords here at Working Person’s Store today, and you'll be improving your outdoor experience, beginning with the very first step you take in this Reebok footwear. I loved the look of these shoes but picture was misleading. They do not lace up like other shoes. The hole to slip my foot in was too small/tight. This was by far the best customer service I have ever had though! They made exchanging fast, simple and hassle free! I won't go anywhere else! I work in shipping and do a lot of walking and bending and squatting. Reebok shoes are comfortable from the moment I put them on. No need to break them in. I have a bunion on one foot so I purchased the wide in my size and they fit wonderful. I really like the memory foam in the bottom of the shoe. I would definitely recommend these shoes to someone walking on concrete floors daily for 8 to 10 hours. Reebok Shoes: Women's All Terrain RB095 Steel Toe EH Blue Trail Running Oxfords is being added to your cart.